I cannot believe this series is almost over! This novella is perfect for fans like me, who are just not ready to say goodbye to these awesome characters. 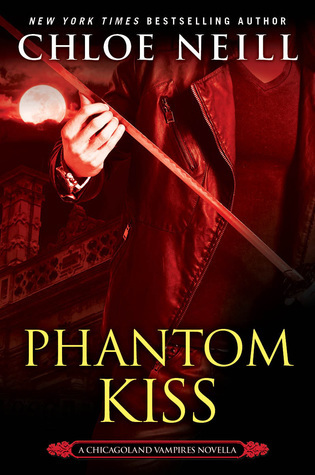 It's a very quick read, but in true Chicagoland style, PHANTOM KISS is action packed and a lot of fun from start to finish. There's just something about these characters that keeps me begging for more. This time around a ghost is at the helm of the trouble which made for an interesting read, but it was the extra time spent with Ethan and Merit's relationship that I enjoyed even more. 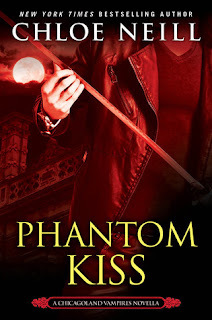 I really enjoy the two of them together, and sometimes the frantic pacing of the main books overshadows their relationship, so it was a definite treat to have more focus on them in this novella. Fans of the series will be more than pleased with this fantastic novella!